Yemen's government vowed on Wednesday to stay in the country's temporary capital Aden despite a deadly ISIS attack on its headquarters which lightly wounded several ministers. 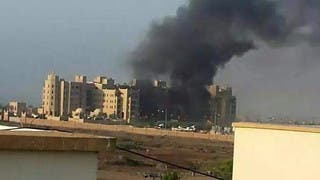 Two bombs targeted the government's temporary headquarters in Aden's Al-Qasr Hotel, lightly wounding several ministers although Prime Minister Khaled Bahah escaped unharmed. Two guards were reportedly killed. Two more bombs hit military installations used by the Arab coalition troops, who have been battling Shiite Houthi militias since March in support of the internationally-recognized Yemeni government. ISIS claimed the attacks and published the names and photographs of the four suicide bombers it said had carried them out. It was the first time that the extremist group had claimed attacks on government and coalition targets. 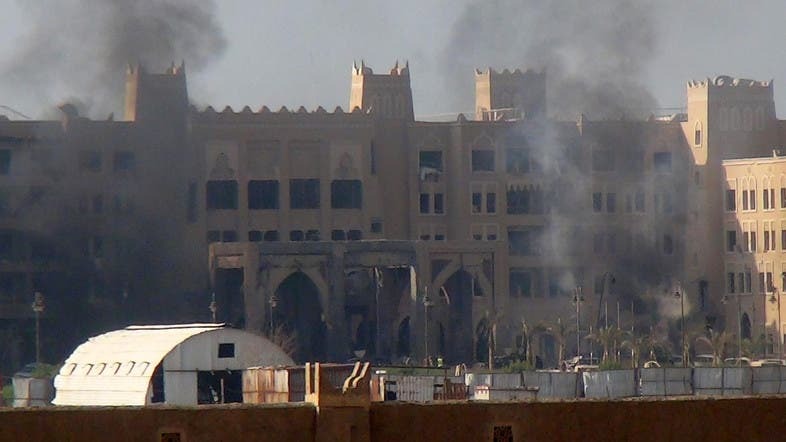 Previous attacks had targeted Shiite mosques frequented by the militias. The coalition said that one Saudi and three Emirati soldiers were among the dead in Aden. Bahah and his ministers only returned to the southern port city on September 16 after six months of exile in neighboring Saudi Arabia. The Yemeni government "insists on continuing its national and historical role during this exceptional phase from the temporary capital Aden until all parts of the country are liberated," said a statement issued after Tuesday's cabinet meeting.